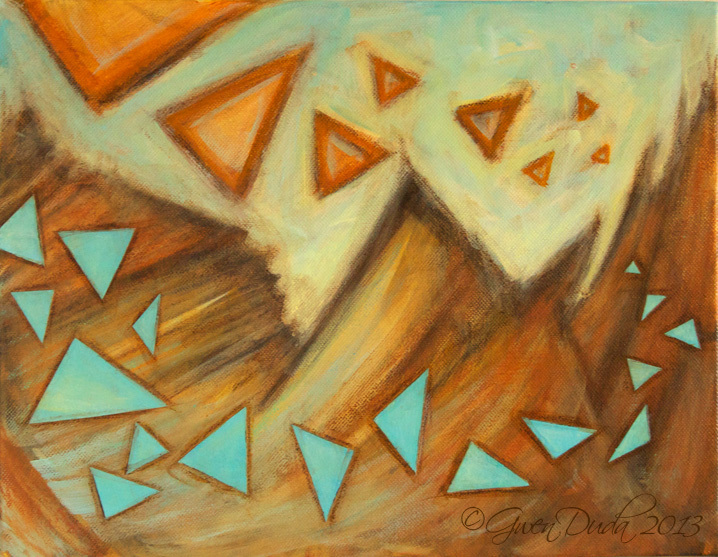 An abstract landscape on the desert theme with a blue/orange palette. Angular and triangular shapes and sequence give a lot of movement to this piece. Done in professional grade acrylics on stretched canvas with the image wrapping around the sides, wired and ready to hang as is.